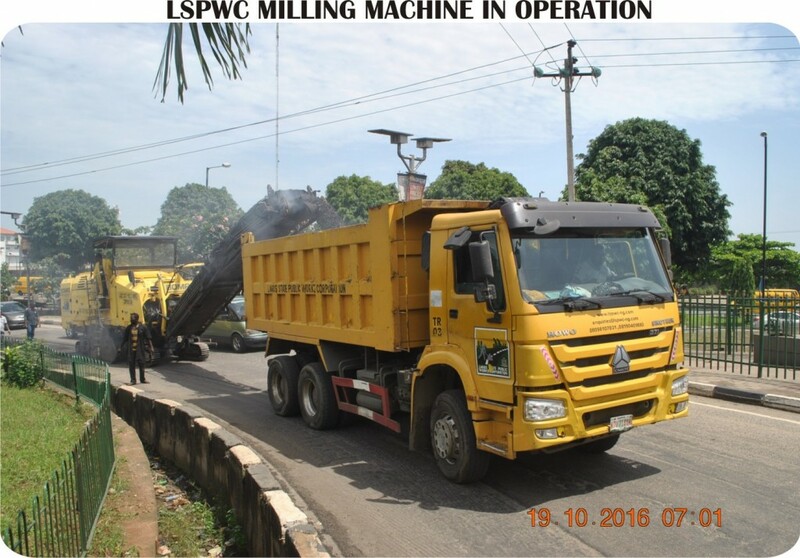 Lagos State Public Works Corporation this week carried out Maintenance/Palliative works on the underlisted roads in the following Local Government Areas. 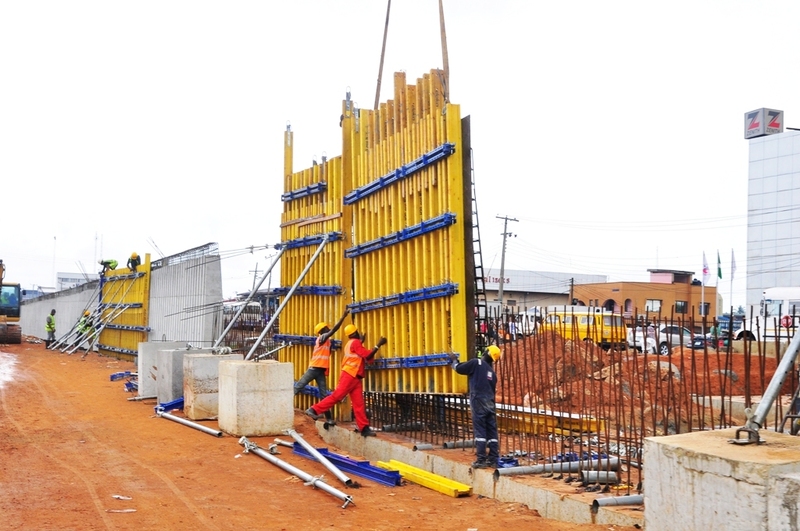 on-going construction of Fly Over at Abule Egba, Lagos-Abeokuta Expressway by Lagos State Government on Monday, August 15, 2016. 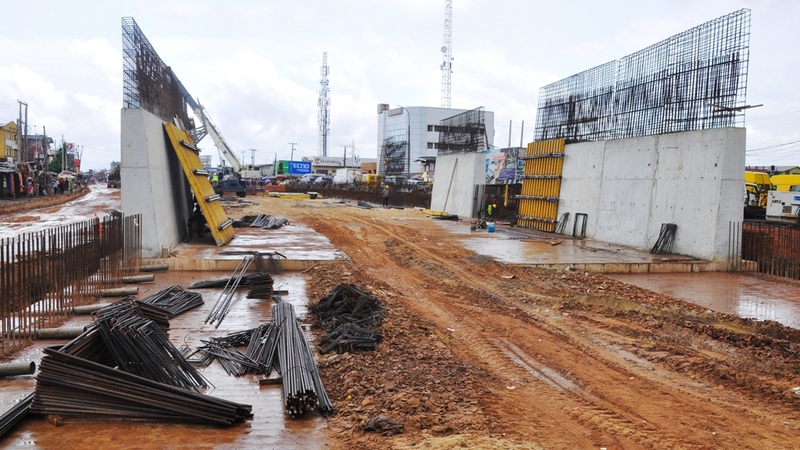 A cross section of Lagos State residents on Wednesday lauded the State Governor, Mr. Akinwunmi Ambode for keeping to his promise of repairing the failed portions of Oshodi-Apapa Expressway, saying that the development has transformed the economic landscape of the axis. 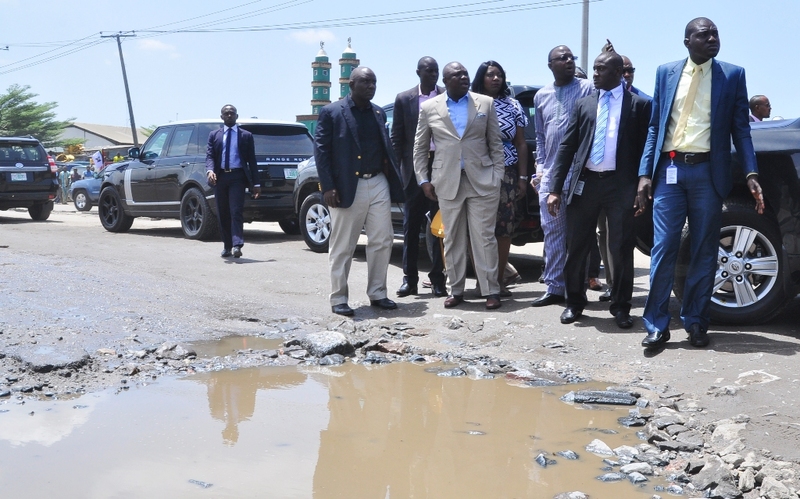 Governor Ambode and his team, had about five weeks ago, made an unscheduled inspection of the road while returning from a function, where he expressed dissatisfaction at the deplorable state of some portions of the road. Governor Ambode not only directed the officials of the Ministry of Works to immediately move to site, but also ordered that an immediate palliative measure be put in place to alleviate the sufferings of motorists who have been complaining about the deplorable state of the road through various means. 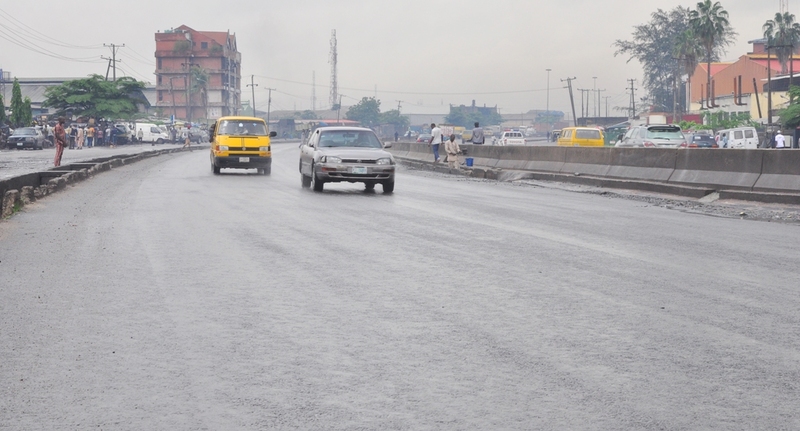 The spokesperson for the Governor had specifically stressed that the Lagos State Government could not afford to ignore the road due to its strategic importance to the economy of the State. 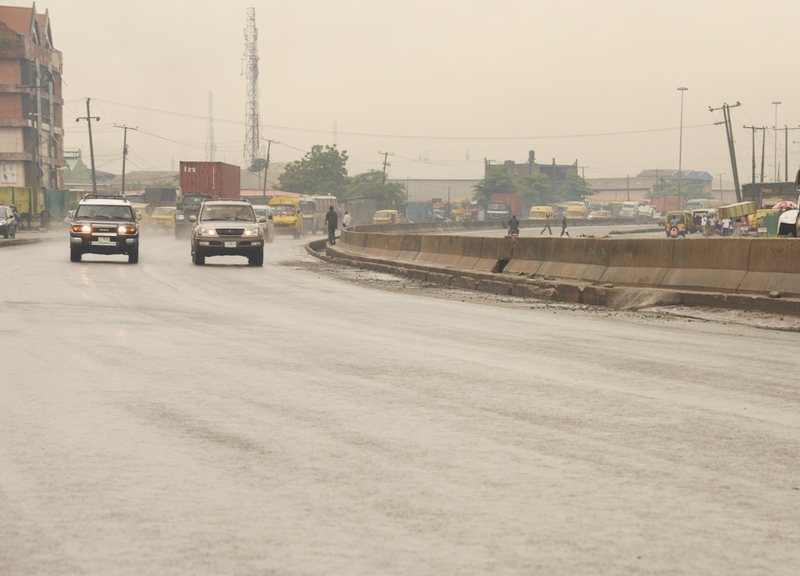 A total of 4klm was repaired on the long stretch of the Oshodi-Apapa Expressway between Berlett, Ilasa and Cele Bus stops inward Oshodi. 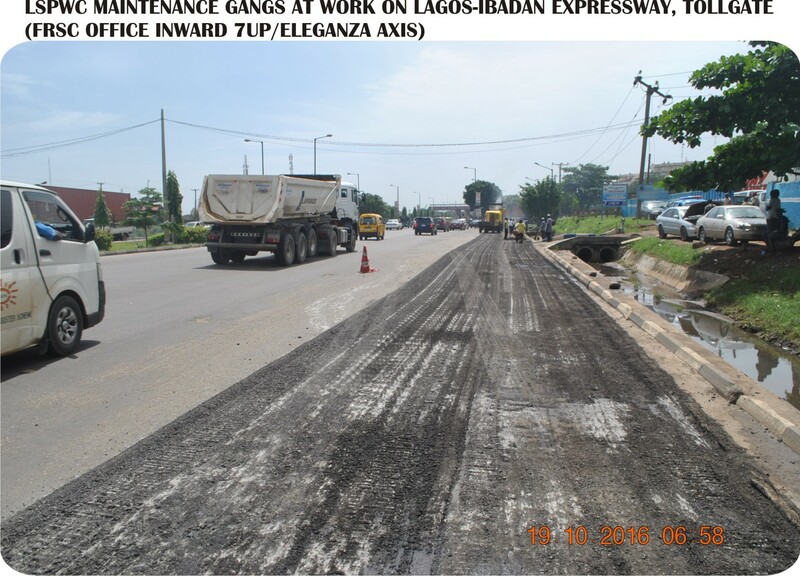 The blocked drain which caused the damage to the road was repaired while work is currently ongoing on the service lane of the road. Speaking with newsmen on Tuesday, a trader who deals in office equipment in the area. Mr. Akeem Abolarinwa said the repair of the road in less than five weeks was a miracle, and it only confirmed the genuine intention of Governor Ambode to transform the State. He said: “We are very happy with the repair of this road. This road has been in very deplorable state for long and we have been enduring untold hardship as a result of the sad development. “I remember very well just about five weeks ago when Governor Ambode passed through this area and saw the deplorable state of the road. He came down from his vehicle and inspected it and promised us that work would start on it. Here we are today enjoying the good road. 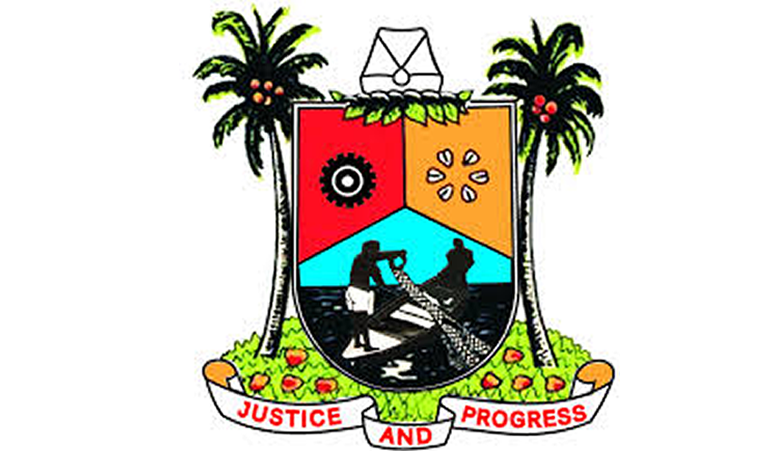 Our businesses have witnessed quantum boost since the completion of the repair work and I just want to pray that God will continue to grant Governor Ambode wisdom and strength to lead the State,” Abolarinwa said. 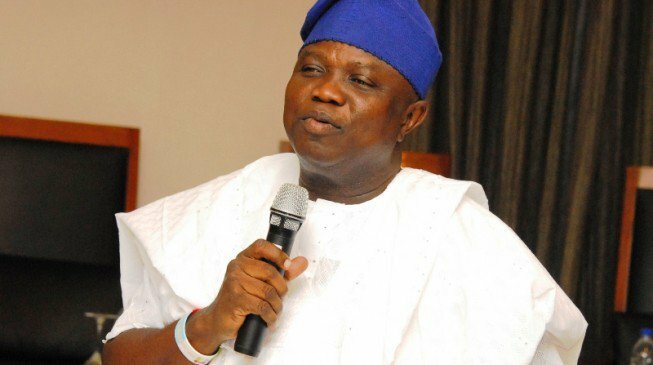 Another trader in area, Alhaji Sani Wasiu, who sells home and office furniture, commended Governor Ambode for keeping his words just within three days after inspecting the road. He said: “This is a good development. In fact, I don’t know how to appreciate the Governor. He made a promise and fulfilled it. This road was repaired in less than five weeks and this has never happened before and it is a big surprise to every one of us in this area. 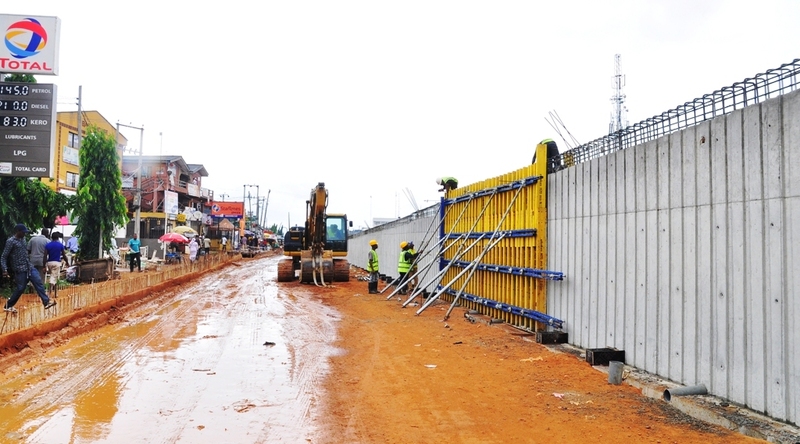 “When the Governor said repair work would commence on the road immediately, we thought it was a joke and just after three days that he visited the road, we saw massive mobilization of Julius Berger to the road and they commenced work immediately. “Everything has changed since the repair of the road. Even security has improved in this area and we now have more people coming to patronize us. I just want to give kudos to him,” Wasiu said. On her part, a resident of the area, Mrs Ronke Onaopepo said the quality of work done on the road within few weeks was commendable and an eloquent confirmation of the fact that the Governor is passionate about the development of the State. Lagos State Governor, Mr. Akinwunmi Ambode on Friday expressed dissatisfaction at the deplorable state of some sections of Oshodi-Apapa Expressway, saying the road was too strategic to the economy of the State and therefore cannot be ignored. 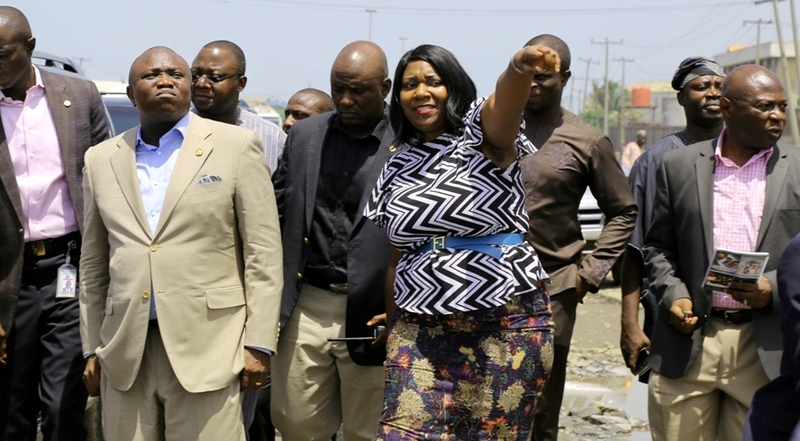 Governor Ambode, who made an unscheduled inspection tour of the road while returning from the grand opening of a 70, 000 capacity Motorbikes Assembly Plant in Mile 2, directed the State’s Ministry of Works and Infrastructure and other relevant government agencies to immediately move to site and fix the bad portions of the road. Lagos State Governor, Mr. Akinwunmi Ambode (2nd left), with his Special Adviser on Lagos Global, Prof. Ademola Abass (3rd left) and Managing Director, Lagos State Waterways Authority (LASWA), Engr. Abisola Kamson (middle) during his inspection of the bad portion of Berlett Bus Stop on Apapa- Oshodi Expressway, Lagos, on Friday, May 13, 2016. A visibly worried Governor Ambode had stopped his convoy and came down from his vehicles to inspect the bad portions of the road alongside top government officials who accompanied him. The Governor specifically inspected the bad portions of the road between Berlett and Ilasa, and Cele Bus stop inward Oshodi. 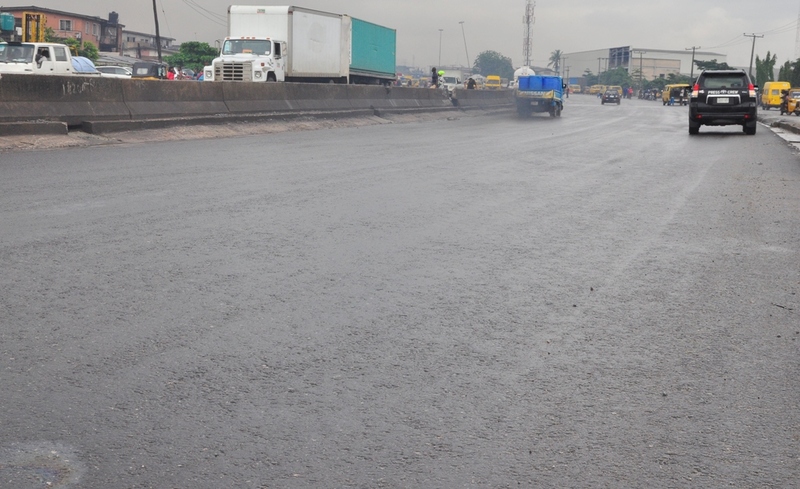 Governor Ambode not only directed the officials of the Ministry of Works to immediately move to site, but also ordered that an immediate palliative measure must be put in place to alleviate the sufferings of motorists who have been complaining about the deplorable state of the road through various means. 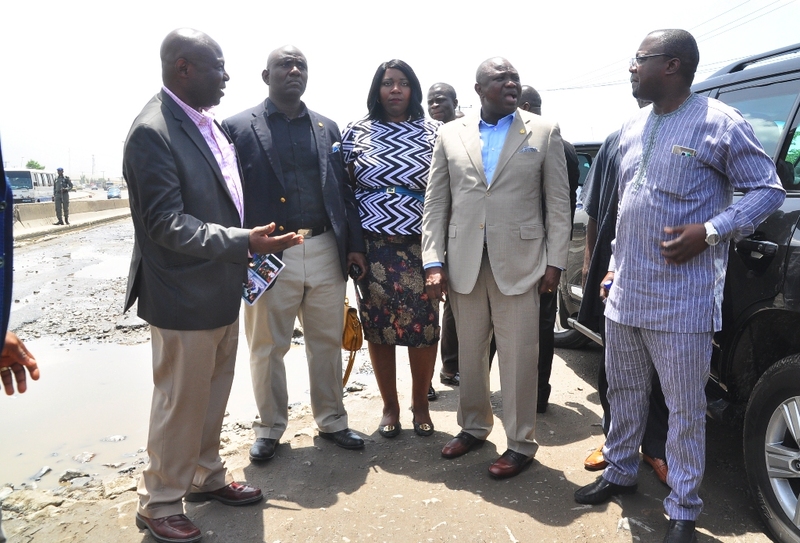 L-R: Lagos State Governor, Mr. Akinwunmi Ambode; Managing Director, Lagos State Waterways Authority (LASWA), Engr. Abisola Kamson and Commissioner for Waterfront Infrastructure Development, Engr. Adebowale Akinsanya during the Governor’s inspection of the bad portion of Berlett Bus Stop on Apapa- Oshodi Expressway, Lagos, on Friday, May 13, 2016. While addressing some of the crowd that trooped out to welcome him, Governor Ambode said the bad state of the road was of serious concern to him, and that an immediate solution was coming soon. He said: “The state of this road is just not acceptable. We are going to do something about this place immediately. The Oshodi-Apapa Expressway is too strategic to be left like this. R-L: Lagos State Governor, Mr. Akinwunmi Ambode (2nd right); Special Adviser to the Governor, Office of Overseas Affairs & Investment (Lagos Global), Prof. Ademola Abass; Managing Director, Lagos State Waterways Authority (LASWA), Engr. Abisola Kamson and Commissioner for Waterfront Infrastructure Development, Engr. 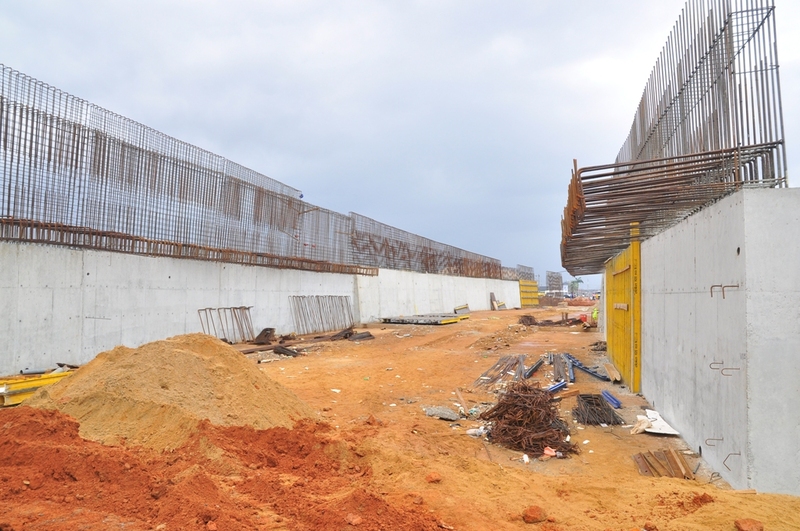 Adebowale Akinsanya during the Governor’s inspection of the bad portion of Berlett Bus Stop on Apapa- Oshodi Expressway, Lagos, on Friday, May 13, 2016. 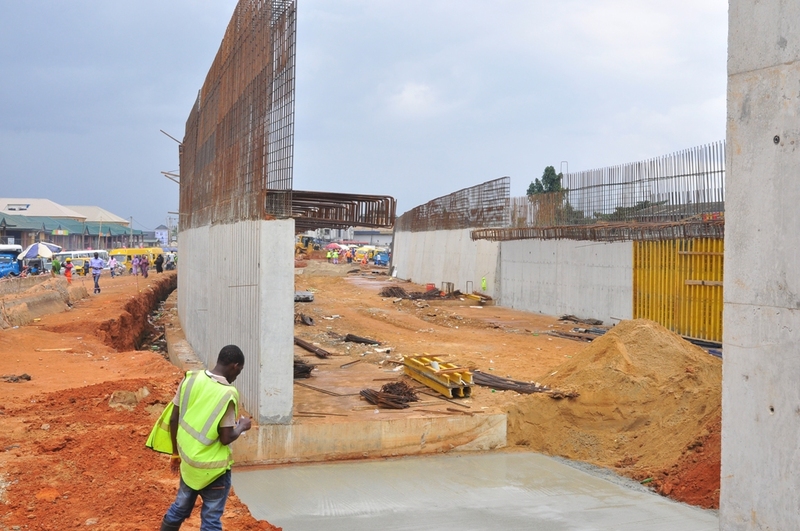 “I have directed officials of the Ministry of Works and Infrastructure and other relevant agencies to move to site immediately and see what they can do and also create palliatives in the interim to alleviate the plight of motorists. “I want to assure the people that I share in the difficulties they are going through using this road and we cannot afford to neglect this road,” he said. Lagos State Governor, Mr. Akinwunmi Ambode (2nd right); Special Adviser to the Governor, Office of Overseas Affairs & Investment (Lagos Global), Prof. Ademola Abass (right); Commissioner for Waterfront Infrastructure Development, Engr. Adebowale Akinsanya (left), Managing Director, Lagos State Waterways Authority (LASWA), Engr. 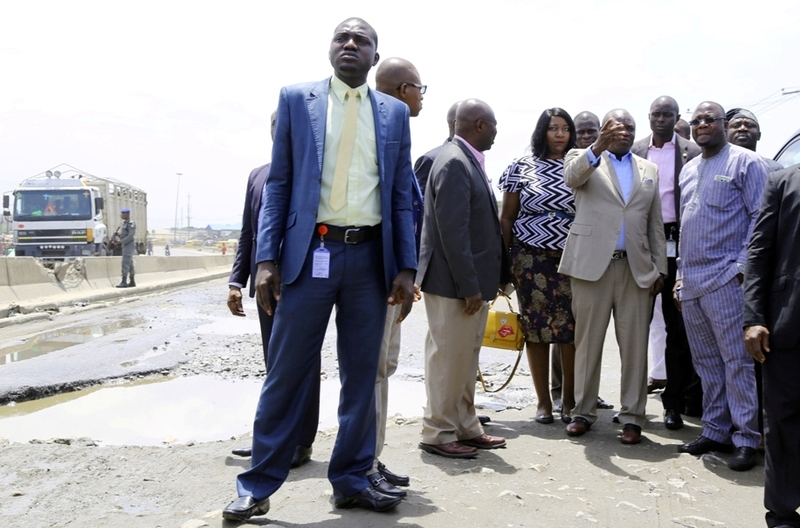 Abisola Kamson (middle) during the Governor’s inspection of the bad portion of Berlett Bus Stop on Apapa- Oshodi Expressway, Lagos, on Friday, May 13, 2016. The elated crowd, realizing the fact that Governor Ambode has a reputation for keeping to his words, acknowledged and appreciated the promise, saying the repair of the road was long overdue, adding that such would go a long way in bringing succor to them.